Rain or shine, take your lunch out and enjoy one hour’s walk in the forest on a Tuesday. 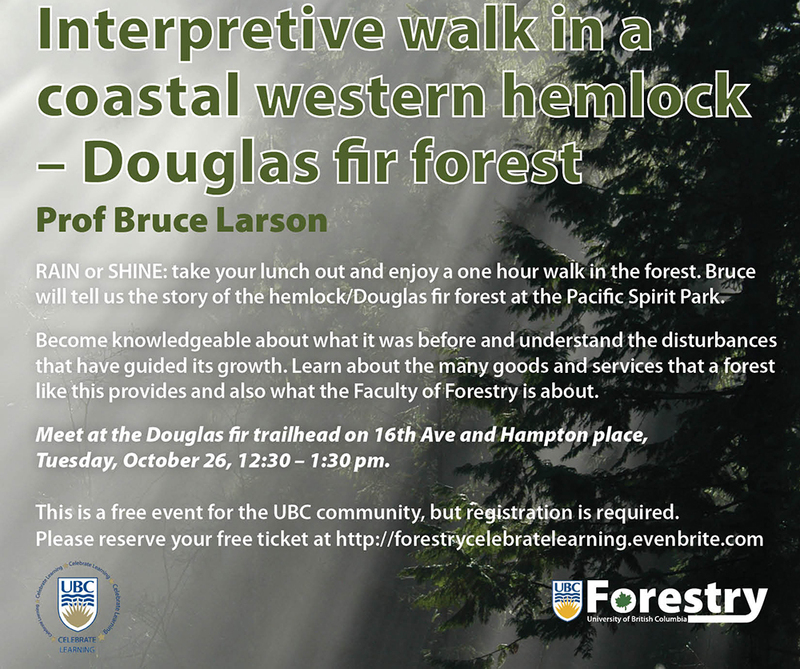 Professor Bruce Larson will give us the story of the hemlock/Douglas fir forest in the Pacific Spirit Park. Become knowledgeable about what it was before and notice the disturbances that have guided its growth. Learn about the many goods and services that a forest like this provides and also what the Faculty of Forestry is about. 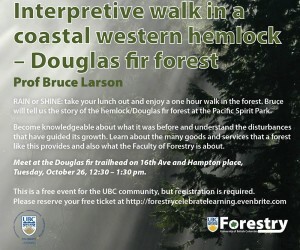 This is a FREE event for the UBC community, but registration is required. Please reserve your free ticket here: http://forestrycelebratelearning.eventbrite.com.